Brisbane is a stunning city to call home, with a winding river running through the metropolis, beautiful, sunny weather almost all year round, vibrant dining, bar, shopping and entertainment scenes, beautiful parks and ongoing infrastructure improvements it is little wonder why so many people relocate to Brisbane each year. 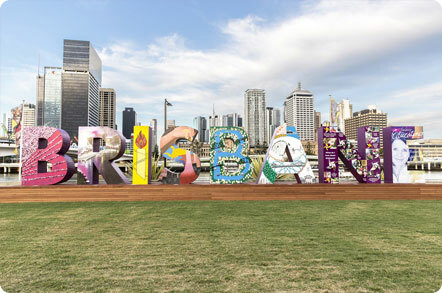 According to Brisbane Marketing, a Brisbane City Council subsidiary, Brisbane is one of the fastest growing areas in Australia, its economy has grown to be valued at $135 billion making up 48% of Queensland’s economic yield and future forecasts predict it will hit $217 billion by 2031. It has been ranked as one of the top ten Asia-Pacific cities of the future and as the most business friendly city in Australia. For more interesting facts about Brisbane take a look at the Study Brisbane page (an initiative of Brisbane Marketing) for more information on why you should consider doing business in Brisbane. Setting up and running a business is tough, remaining in business over the long-term is even tougher no matter what part of Australia you call home. If you are situated in Brisbane you are in a better position than other Australian states, but, don’t get complacent, make sure your business is performing as well as possible by getting the mystery shopper Brisbane team working for you. By choosing Secret Customer to conduct mystery shopping on your behalf, you can do wonders for your business. The most overarching advantage you will gain from our retail mystery shopping experience is objective constructive criticism and the tools for business improvement. When the secret shopper visits your store, they come incognito with an informed and knowledgeable outsider’s perspective geared towards finding out what your business is doing right, what you are doing wrong and what you are not doing at all, but, should be doing. Once the issues are recognised you will be presented with tailored solutions and guidance on how to fix them and turn the negatives into positives. Our mystery shopper Brisbane team will discuss what areas you’d like to see improved and develop a tailored plan of attack to achieve these objectives. The most common areas we focus on are customer service, cleanliness of premises and staff, product reviewing and maintenance. We will give you the guidance and tools needed to pin-point and rectify weaknesses and problems within your team as they arise and help you avert any future problems. We will help you improve the customer service and sales ability of your staff and maintain these skills at a consistently high standard over the long-term. The mystery shopper will identify both underperforming and stellar staff. This will prove cost-effective by allowing you to reshape the particular individual’s behaviour without having to put the entire workforce through training, or, alternatively you may choose to replace them with a new better-suited employee. We will show you how to monitor and keep track of changing trends regarding customer needs and wants to keep customer satisfaction levels high and consistent across the board, as well as, giving you pointers on how to recognise and seize viable new business opportunities to give you a competitive edge. We will identify any room for improvement, or, if any repairs are necessary throughout your premises by checking fixtures, fittings and everything in between. We will look at your floor-layout and determine whether everything is well-presented, well-maintained and if the floor makes the best use of space and product positioning. We will also purchase some of your stock to test it for quality review purposes. We use first-class, specially developed software packages to collect and analyse the information gathered from our store visits to present you with a clear and structured report which we will walk you through. Once all the areas have been identified and problems corrected you will find your service levels improved, staff performance and customer service and engagement vastly enhanced, customer wants understood and changing trends more easily identifiable, improved sales and revenue, enhanced stock quality, growth of customer loyalty and client base enriched brand image and stimulated business growth giving you an edge over your competition. There are a few simple things you can do to get the best out of your employees. By implementing just a few of these tactics your staff will see their job as more than just another pay-check. Their morale will be boosted, they will feel like they are truly valued and integral to your business, thereby enhancing loyalty and they will enjoy a sense of accomplishment which will in turn incentivise them to do the best they can. Acknowledge your employees when they do well. Too many bosses have a tendency to use negative reinforcement methods, by only focusing on the mistakes staff make and other negatives. A few words of positive verbal recognition when they go above and beyond can make a world of difference in an employee’s mind and help foster loyalty and continued hard work. If a person does the same task day in day out it will become repetitive and the employee can become unfocused and bored. If you know they have the ability to take on different tasks, or, would flourish by taking on more responsibility then offer them the choice if it is viable. It will show you value their input and wish to encourage their career advancement. Get to know your staff, but, remain professional, don’t get too personal (consider your workplace culture when opening a dialogue). By inquiring as to what their interests are, their intended career goals, their work experience and other things important to them you will show them they are important to your business which will boost their morale. It will also help you get an idea about their frame of mind which may help you anticipate their responses to work issues and avoid any surprises down the line, as well as, figuring out whether they would be suitable for career advancement into other areas of your business later on. Invest in your employees. Keep the big picture in mind and understand that an initial monetary investment in your staff will provide a greater return on investment in the future. Training and development shows you value them as an employee, that you are serious about their job stability and long-term career advancement within your business. If you, or, your managers are swamped with work, or, would simply appreciate being freed up to focus on more pressing matters then why not share the day-to-day management duties around to competent staff members. Why not let them take on some more responsibility such as goal setting, scheduling, planning and inter-department communication. If they do well they could be a shoe-in when you, or, your manager is away, or, at least give you some breathing room on hectic days. Listening to your staff builds trust and helps you identify areas of staff satisfaction and dissatisfaction. It is so simple an act and will go a long way to resolving issues as they arise and keeping your staff happy and performing at their best. Don’t let one bad apple spoil the whole barrel. If you have a slack employee who lets others carry their weight then address the issue. Hold regular meetings to ward off any problems before they become a major distraction by disrupting your employees’ positive work habits. Make sure your staff know what is going on. If anything in your business is happening, or, is likely to happen that will affect their jobs, career advancement possibilities, day to day tasks, or, even if you have some positive client feedback for them, simply let them know and keep an open dialogue. Staff feel insecure and anxious when they are kept in the dark, letting them know about things which affect their performance will show you respect them and they are valued. Don’t let bad habits gain traction and allow problems to fester. Nip any staff performance problems in the bud with a frank, one-on-one discussion with the employee in question. Be firm, but fair. By letting a poor work ethic continue you will demoralise your other employees who will begin to question your leadership. Brainstorming solutions will often yield far better results than trying to fix everything on your own. By letting your staff put their two cents in they will feel their opinion is worth something. You still retain final decision, but, at least you will know you’ve considered all the options.